The Netherlands Amsterdam 20 april 2017. The European Press Prize bureau spoke to CINS right after the ceremony. We asked them about the media in Serbia and what it means to to win the 2017 Investigative Reporting Award. Could you describe the media landscape in Serbia? The media landscape in Serbia does not look very good right now, with only a few unbiased and professional outlets left, mostly online. Almost all the money from advertisers goes to those who don’t criticise authorities, or are close to ruling party. At the same time privatisation of local media has failed in many cases, a lot of people have lost their jobs, several media have become extinct. Wages of journalists are low while pressure is high. There are pro-government tabloids which run smear and dirt campaigns against investigative reporters. They can’t contest facts from our stories so they attack us personally, by publishing that we are foreign mercenaries and spies who work only to destroy Serbia. It is all a nonsense but it draws targets on our backs and that is dangerous. This is why we feel that our European Press Prize belongs to the small number of our colleagues outside of CINS as well, as we face the same problems while just trying to do what normally any reporter should be doing. What challenges do you face as an organization uncovering corruption? The key issue for us is that institutions are closed and do not want to cooperate and provide information. Not all, but many. There is this culture of fear drawn into the ranks of officials and even some experts that they will be fired or punished in some way if they meet with us, so they refuse to talk. Or there is simply loyalty to the ones in power. Police did not give interviews to CINS for more than two years. 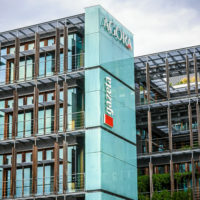 Public companies and some institutions rather pay fines than submit requested records to journalists. And it’s all taxpayers’ money. This is what we’re dealing with on a daily basis. We wrote many articles on corruption and organised crime, created two large interactive databases and uncovered wrongdoings of public officials and politicians very often in 2016. And I do not want to sound arrogant, but at the end of the year we were pretty sure we did some really good and important work. Just the amount of time we have invested in stories which were later awarded was incredible. And entering the European Press Prize contest was a good way to test that in front of an independent jury and preparatory committee. We wanted to see how our work looks like in the eyes of people not so familiar with what’s going on in Serbia on daily bases. 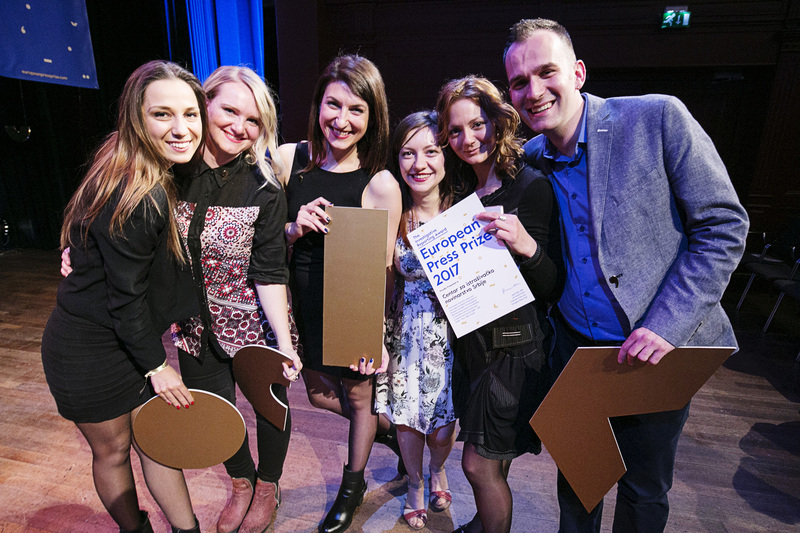 How did you hear about the European Press Prize and what does winning the award mean to you? 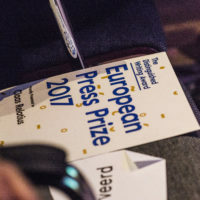 We found out about 2017 European Press Prize contest through several channels, like mailing lists and social networks. But we knew about this award since it was formed – and we have even submitted one or two articles in the past, I think. But this year we decided to send more articles, as it was one of the most productive years in CINS history. It took significant amount of time to prepare applications, but it paid off very well in the end! 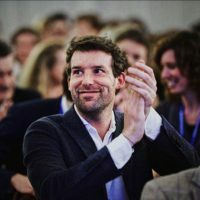 What impact did winning the European Press Prize have for CINS? It is an acknowledgment to our work, but it also brought a lot of attention to our organisation, locally and internationally. We had an idea of what would we do in terms of marketing and PR if we get the award, but we basically didn’t have to do anything that night. News spread so fast and social networks literally exploded, so we could just sit back, enjoy and let promotion take care for itself. Probably that was the moment when we realised how big is all this for us. Almost all media in Serbia published news about the award so, I guess, a lot of people heard about CINS for the first time. But the big problem we have is that mainstream/pro-government media usually do not want to republish our findings. We would love if only half of those who published the news about the award would republish our next story. Or, to stop acting dead on some of the old ones, like the investigation in which we have proved that Governor of the National Bank of Serbia Jorgovanka Tabakovic has plagiarised more than 20% of her doctoral thesis. It would be a major news anywhere in the world, but not in Serbia. What advice would you give to investigative journalists? Best advice I can give to other investigative journalists is to continue doing their job best they can, even when it seems it is pointless and nothing can be changed. Actually, investigative reporting matters a lot and it does make a difference. Investing in education is also very important. There are now more programs to work with and learn from reporters from other countries than ever. Use that, learn from others but be open to transferring your knowledge as well. Pay attention to quality journalism. If you are not sure where to find it, just go on European Press Prize website and check out all the nominees and winners.